Learn about NYC’s longstanding honor for the (extra)ordinary people who make New York, New York. Peruse the iconic individuals who have been honored with our “token of esteem” — a sculpted bronze plate-size NYC subway token — since the award was established in 1993. Nominate a venerable folk cultural hero to the People’s Hall of Fame. 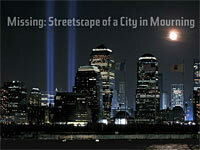 Watch video of NYC’s distinctive characters and enjoy great clips from City Lore’s 25 years of documenting city life. Take a virtual tour of many NYC neighborhoods led by wonderful local tour guides. Link to a full list of all the stories and tours on the site. Add your own story! And listen to a great intro that tells you how to do it! Watch our YouTube channel and our playlists on oral histories, New York neighborhoods, grassroots poetry, and Place Matters. Don’t forget to subscribe! Learn about our collections, City Lore’s “living archives” with over 50,000 images and hundreds of oral histories. 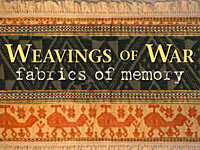 Take a virtual tour of exhibits including Missing: Streetscape of a City in Mourning about the shrines and memorials after 9/11 and Weavings of War, about third world women’s responses to upheavals in cloth. 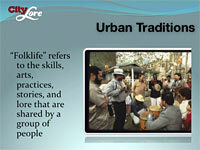 Watch our Urban Traditions Powerpoint, a great intro to NYC’s folk culture with stunning images from our archives.